What's Going To Happen To EV Sales When The $7,500 Tax Credit Ends? Not even the automakers are fully certain. The $7,500 US tax credit, along with additional state incentives (in some cases up to $5,000 more), is a very attractive offer and a strong contributing factor to the growing number of EVs on American roads. In fact, for a few years, it was oftentimes the deciding factor for American car buyers to switch from conventional vehicles to EVs. However, The Detroit News reports that tax credits will likely soon be coming to an end. Why’s that? Because it was never a permanent tax break to begin with. An extension is therefore unlikely, especially since EV manufacturers, such as Tesla and Nissan, reach their respective 200,000th US sale. That’ll happen for Tesla sometime next year and Nissan, along with GM, isn’t too far behind. 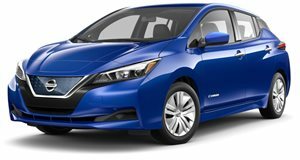 Will that elimination damage US EV sales? Probably, according to an Edmunds report, which estimates "one-eighth to three-eighths of the US EV market" will be killed. 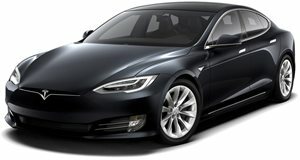 However, for a luxury brand like Tesla, that probably won’t matter too much. 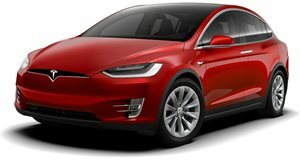 Previously, when Georgia’s generous $5,000 tax incentive expired, Tesla sales were barely affected. Today, more people are buying Teslas in the Peach State than during the tax credit years. But Teslas are also considered luxury cars, so the real test for EVs in a post-tax credit era will be sales figures of mainstream models, like the new Chevrolet Bolt and upcoming Nissan Leaf successor. With its $37,500 base price, the Bolt is still pretty affordable, but factor in that $7,500 subsidy and it suddenly costs less than the average new car today (around $33,000). That factor alone will scare away some buyers, but for how long remains to be seen.